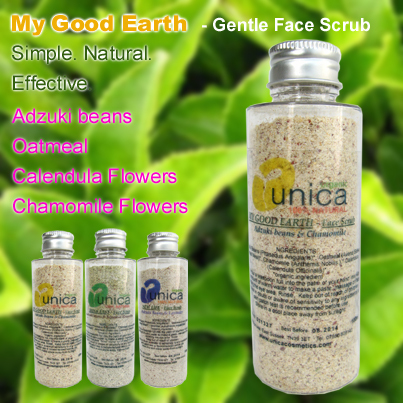 My Good Earth organic face scrub is a really gentle dry exfoliant that leaves your skin feeling clean, fresh and soft. 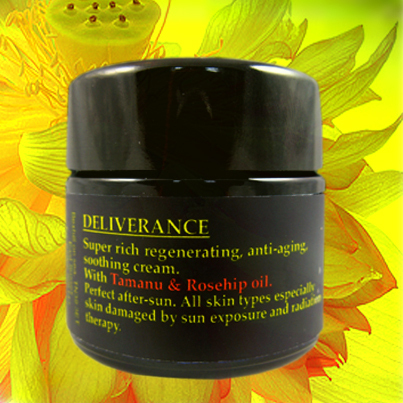 Made only with Adzuki beans used by Japanese Imperial court beauties in their skin care regimens for centuries for its detoxifying and exfoliating properties; Oatmeal for its anti-inflammatory and soothing action; Chamomile and Calendula for their remarkable healing, anti-bacterial and skin repair properties. If you like products that naturally smell wholesome, My Good Earth organic face scrub will satisfy your senses with a soothing and calming scent of Chamomile and Calendula flowers. 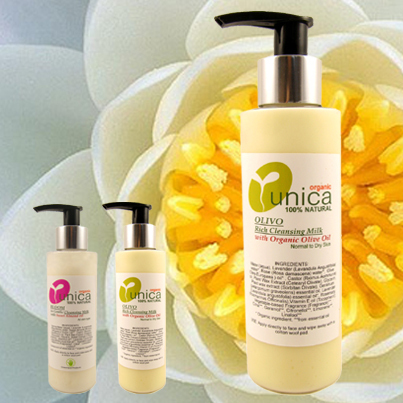 SKIN TYPES: Suitable for all skin types especially for very sensitive and eczema prone skin. INGREDIENTS: Adzuki Beans (Phasedus Angularis), Oatmeal (Avena Sativa Kernel Meal), Calendula (calendula officinalis), Chamomile (Anthemis Nobilis). Recent and on-going research has identified chamomile's specific anti-inflammatory, anti-bacterial, anti-allergenic and sedative properties, validating its long-held reputation. In skin care, Chamomile is renowned as a major analgesic, anti-inflammatory and wound healer, relieving pain, redness from any cause and promoting skin repair and can be used for a range of skin problems including dry skin, blemishes, scars, eczema, psoriasis, spider veins, age spots, and discoloration.